Thank you for your interest in pursuing the M.A. 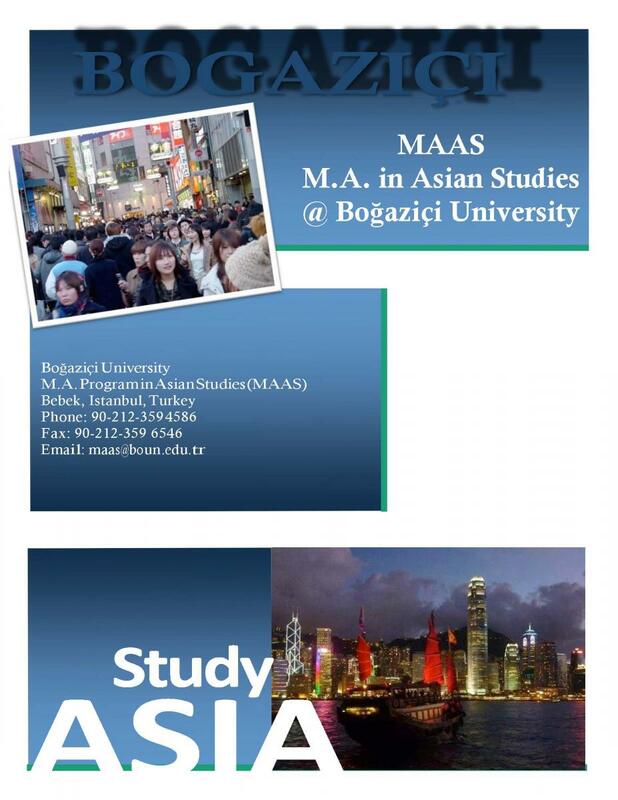 degree in Asian Studies of Boğaziçi University (MAAS). We are very excited about our new program in Asian Studies that is pioneering the field in Turkey that aims to educate specialists of Asian regions and countries from the unique perspective of Turkey and the region. Asian countries such as Japan, China, India, Korea, Indonesia have rich cultural heritages that are at the same time leading globalization processes today in economic and technological dynamics and social energy. Our distinctive MAAS program emphasizes the inter-regional relations of Asian countries and their strong visibility in global international affairs. The Program focuses on providing specialized courses with focus on Japan or China as majors with a wide-range of inter-disciplinary courses and language training. We also provide a rich array of electives on Korea, India, South East Asia, as well as Central Asia that are being targeted as future majors. The teaching faculty represents the newly emerging Asian studies expertise of Boğaziçi University as well as contribution from the Asia experts in other distinguished Universities in Turkey. The students will have the opportunity to meet with distinguished visiting international scholars from Asia, Europe, and the United States, diplomats and business representatives of Asian countries. Prospective students of the Program can opt for either a two-year degree with thesis or for a one-year degree without thesis, depending on their preferences and career plans. We aim to provide the valuable opportunity to be immersed in the languages of Asia as well as a rich variety of courses on history, politics, economics, international relations, and culture. The Program provides the opportunity for language training in (Japanese or Chinese at the present) at various levels that is a great opportunity to immerse oneself in the languages of the region for beginners who are welcome as well as the advanced students of Asian languages who will have the chance to deepen his/her knowledge. 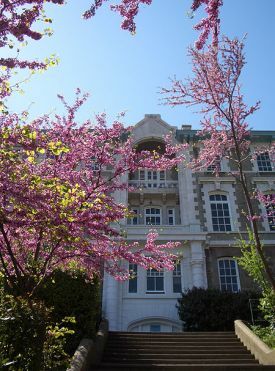 The students will benefit from the high quality of Asian languages instruction in Bogazici University that has accumulated over the last three decades. While beginners are encouraged to apply, we also look forward to the interest of applicants who have already mastered Asian languages for whom this is the invaluable opportunity in Turkey to acquire a systematic formation in Asian Studies. The program is inviting applications from professionals in public and private sectors, graduates of social sciences, sciences, humanities with professional and academic interest who want to acquire the best education in Asian affairs. The MAAS students will have a great opportunity to become up to date in global affairs where Asia is playing a leading role. The students are encouraged to develop creative and dynamic understanding of globalization by grasping at the traditions, innovations, and change in Asia with an interactive eye on Turkey’s historical links and the recent growth of complex relations with Japan, China, Korea, and other countries as part of global trends. We encourage qualified and committed applicants to explore Asia in the rich cultural experience and academic distinction of Boğaziçi University.